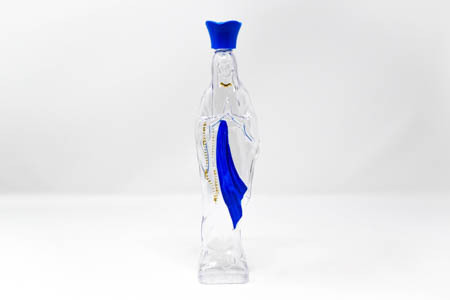 A transparent Virgin Mary statue bottle containing Lourdes Holy water. It has been hand painted and has a large blue rose cap. This bottle measures approximately 20 cm in height.